We share the rice seeds stored in our International Rice Genebank according to the International Treaty on Plant Genetic Resources for Food and Agriculture (ITPGRFA). In the past five years, we have distributed 159,815 samples to 1419 recipients in 61 countries. We also gratefully accept contributions of seed to add to our collection. STEP 1: Study the Standard Material Transfer Agreement (SMTA) carefully, and verify that you are able to comply with it. You can download the agreement here, consult the official page , or consult our guide on the next section. If you want an accession from the genebank and you already know its accession ID (it has the format "IRGC" followed by a number), use it. If you want a line distributed through the International Network for Genetic Evaluation of Rice (INGER), and you know the ID (it has the format "IRTP" followed by a number), use it. If you want to choose by searching databases, try these: Genesys for information on accessions held by a number of genebanks including those at IRRI and AfricaRice; IRGCIS, or the International Rice Genebank Collection Information System, with information on rice held in the genebank; and the International Rice Information System (IRIS), for information on all the rice that we know about. If you need help choosing, just send an email giving as much specific detail as possible of what you need, and we will try to help. if you need a non-GMO declaration, please tell us. IRRI takes rigorous precautions to keep transgenic rice separate from non-transgenic rice, and thus ensure that transgenic material does not unintentionally appear in non-transgenic rice. We will issue a declaration to this effect if you ask for it. The SMTA is a standard agreement that sets out the terms and conditions under which plant genetic resources for food and agriculture are transferred from one person or organization (“the provider”) to another (“the recipient”) under the multilateral system of the ITPGRFA, (“the Treaty”). Each use of the SMTA constitutes a contract between the Provider and the Recipient, and is legally binding under normal contract law regardless of their status or what countries they are based in. 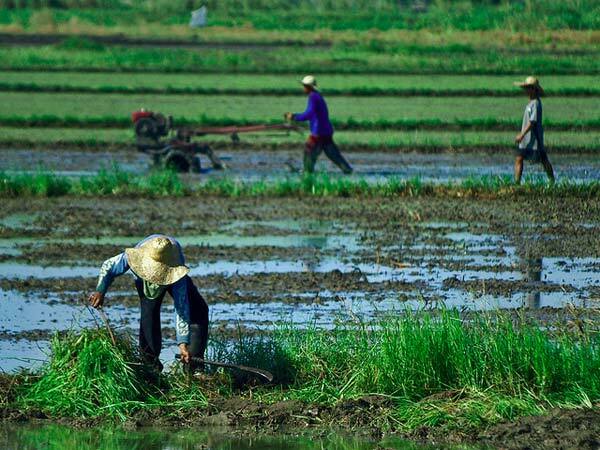 If you obtain rice from IRRI with an SMTA, the rights and obligations of the Recipient apply to you, while the rights and obligations of the Provider apply to IRRI. When we send you seed with an SMTA, both you and we must know our respective rights and obligations - what we are permitted to do, what we must do, and what we must not do. The SMTA is a legal contract that defines those rights and obligations, and what will happen if they are not honored. As a legal contract it can be difficult to understand, especially for the average scientist who is not trained in legal matters. However, we still need to understand as best we can what our respective rights and obligations are. Attribution: This document has evolved from earlier FAQ developed jointly by the System-wide Genetic Resources Programme (SGRP) and legal experts on the Treaty. It also contains answers to other questions raised by and discussed with our collaborators and the same legal experts. Disclaimer: We cannot provide authoritative answers, and cannot accept responsibility for any errors. In cases of doubt, definitive interpretations can be given only by the Governing Body of the Treaty, through which the text of the SMTA was negotiated, drafted, and finalized. We are not a commercial seed supplier. But if you’re a farmer willing to spend a season or two growing your own seed, we can give you enough to get started. For us, wild rice means the wild species most closely related to cultivated rice. We can routinely supply only small quantities of seed, typically just 10g of each cultivated variety or type of rice, more for certain special networks and collaborators, less (10 grains) for wild rice. If you want us to send larger quantities, we can do it within limits but only if you are prepared to pay and wait while we produce it. We cannot guarantee to provide seed of any specific material. Some materials are temporarily unavailable, as we have to produce more stocks to replace what we've given away or deal with any seed health issues that may arise. In most cases we cannot give any sort of warranty on the genetic identity of the material provided. 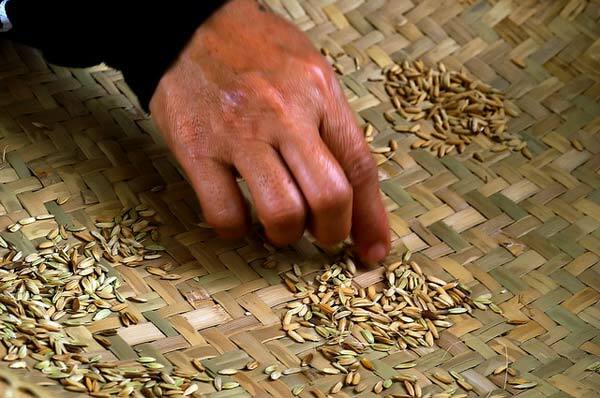 Although we conserve seed to the highest possible international standards, it is in the nature of rice to be variable, especially the traditional varieties and wild species, and two samples of supposedly the same variety are often genetically different. 123,000 types of cultivated and wild rice securely conserved in the T.T. Chang Genetic Resources Center (GRC) maintained in sufficient quantities to give to you on demand. A further variable set of varieties, elite and promising lines, breeding lines or research materials held by other IRRI scientists, which are not necessarily securely conserved but which we will supply on demand if we have enough seed. The SMTA sets out a number of rights and obligations of the Provider (us) and Recipient (you). Some of the rice we hold is subject to special contractual restrictions that may prohibit us from giving it to you. Your country may have laws requiring us to test the health of the seed and certify it with a Phytosanitary Certificate. Your country may have laws requiring you to obtain an import permit. You may also view IRRI's video playlist on Rice seeds, germplasm, and varieties.